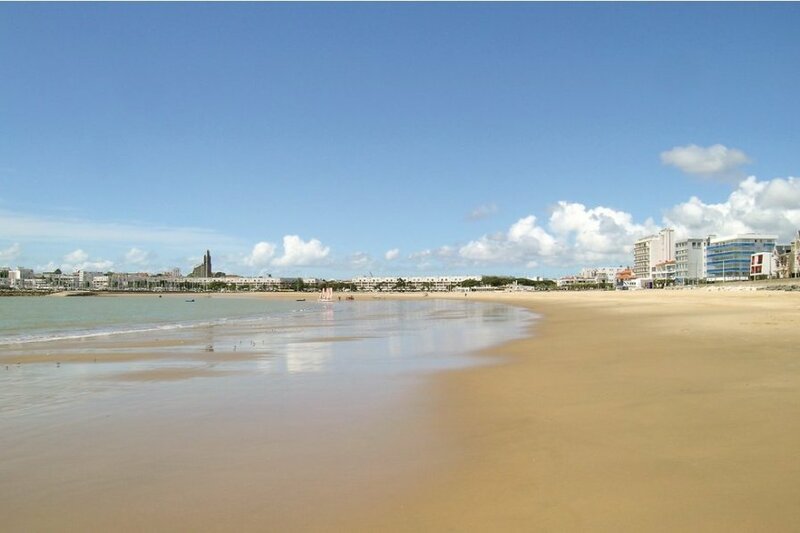 This contemporary one bedroomed apartment is right in the centre of the popular seaside resort of Royan, within 700m of the sandy beach and the attractive port. This contemporary one bedroomed apartment is right in the centre of the popular seaside resort of Royan, within 700m of the sandy beach and the attractive port. On the second floor but accessed by a modern lift, the apartment also has its own private parking spot in the enclosed area at the back of the building. In addition to the double bedroom which has its own West facing balcony, there is also a twin pull-out bed in the bright and nicely decorated lounge/diner which gives onto the fully fitted kitchen. There is also a narrower balcony to the front of the property. Whilst in the centre, this is a quieter part of the town, off the main through roads, yet within 100m of shops, cafés and restaurants. In addition to the pretty town of Royan and its glorious beaches, there are more beaches and a Golf course just up the road at St Palais sur Mer and one of France's finest zoos at La Palmyre is 15kms away and well worth a visit. This solidly constructed modern apartment was originally built in 2008 and refurbished in 2015. The agent has rated it as a three star property so it is a well-kept apartment, equipped with standard furniture. It is also good value for money. The apartmentIt is located in Le Chay-Les Gardes, only 4km from Vaux-sur-Mer. It is set in a very convenient location, just 700 metres away from a sandy beach. There's also a restaurant only 200 metres away. You can also park on-site at no extra charge. The apartment is well equipped: it has a refrigerator, microwave, washing machine and dishwasher. It also has some garden furniture outside.